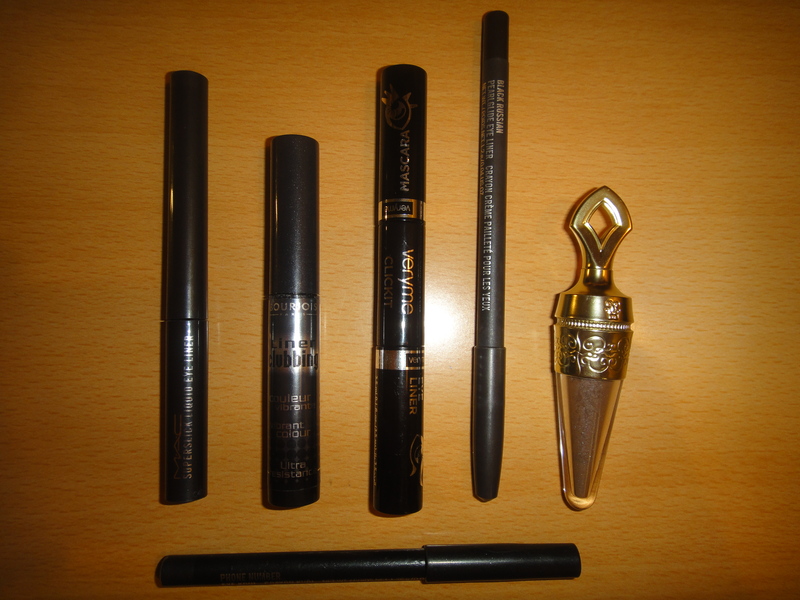 Eyeliner is the second most popular trend when it comes to make up, after mascara. 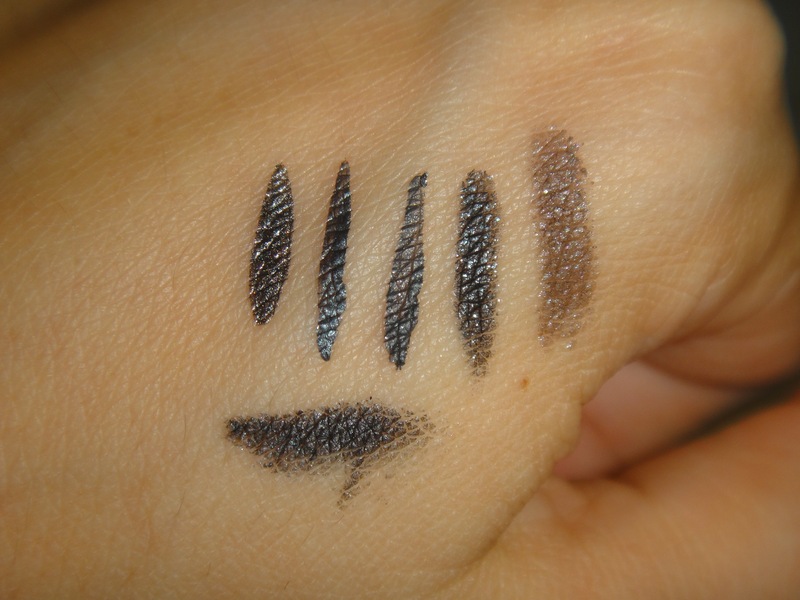 Nowadays eyeliners come in every possible colours and formulations, thing that make us feel excited and confused at the same time. Excited because of the variety of choices available in market and confused because we do not know what to choose! 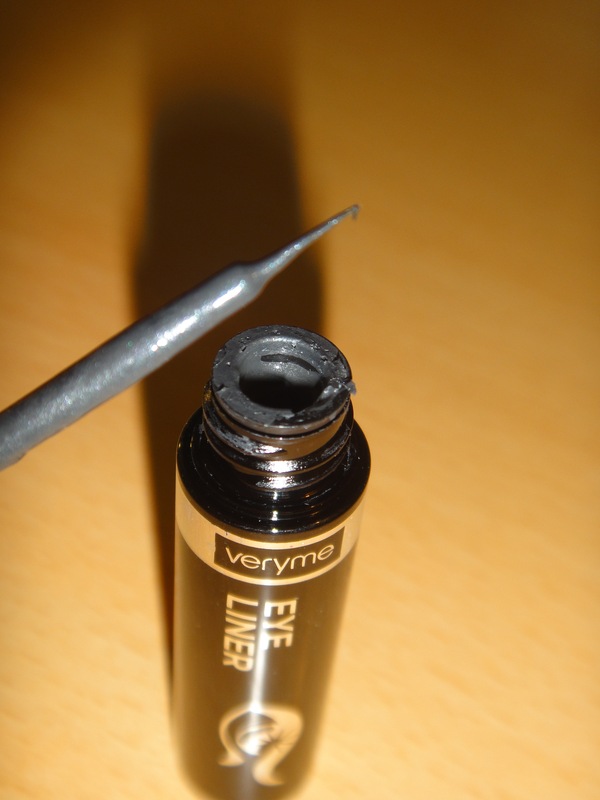 Today’s post is about eyeliners in grey and in various types. Grey eyeliner though not very popular, is a great alternative to black-which can be too harsh looking especially on lighter skintones and blondes- and it can be worn from morning to night regardless the occasion. 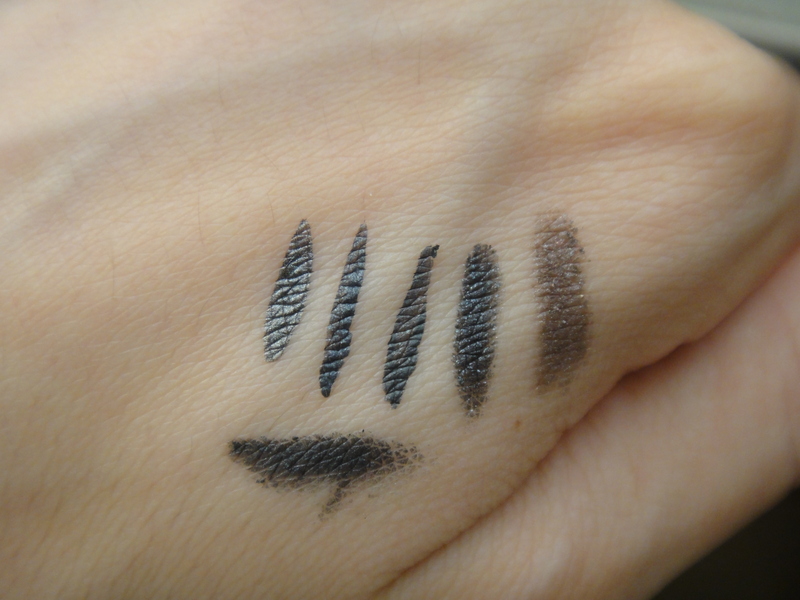 From left to right: Mac Superslick liquid eyeliner in “Marked for Glamour”- Bourjois Liner Clubbing in “Black Fever” – Oriflame VeryMe liquid eyeliner in “Grey”- Mac pearlglide pencil in “Black Russian”- Guerlain Terracotta Khol loose powder eyeliner in “04 Oriental Metal”. 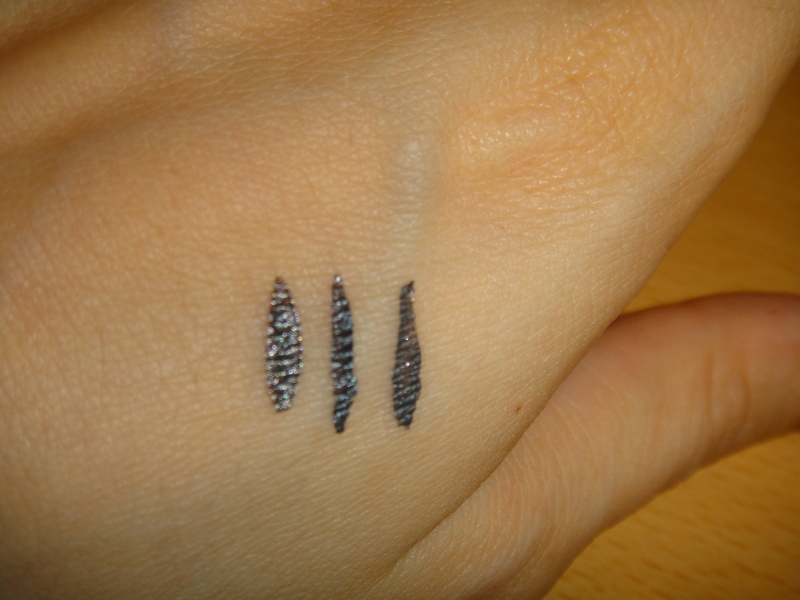 Bottom: Mac kohl pencil in “Phone Number”. Marked for Glamour is a midtone grey with navy undertones liquid eyeliner infused with pearls, which makes it quite shimmery but extremely wearable for any time of the day. Pigmentation and staying power are just great. Only downside is the runny formula. 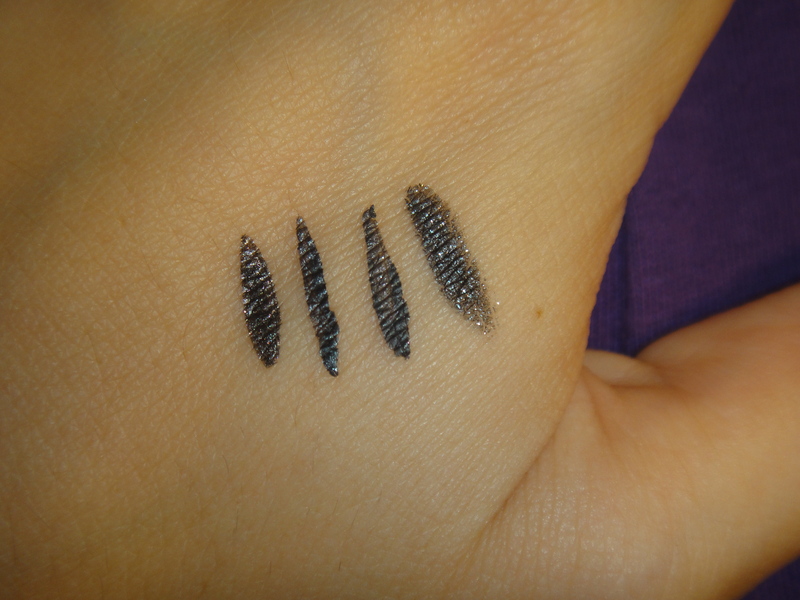 Marked for Glamour is one of the most interesting eyeliners I have ever worn and I reach for it very often. 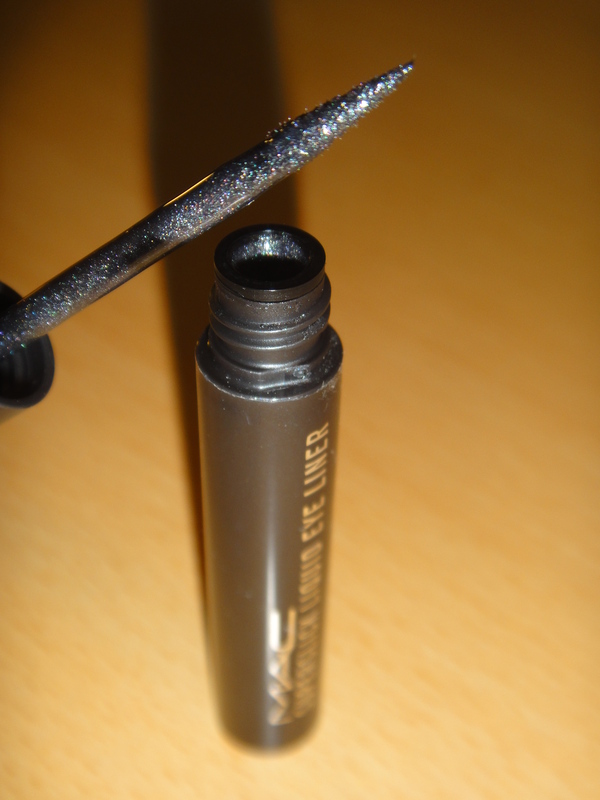 I bought it for about 17 Euro and it belongs to the permanent range of Mac eyeliners. You may check the product here. 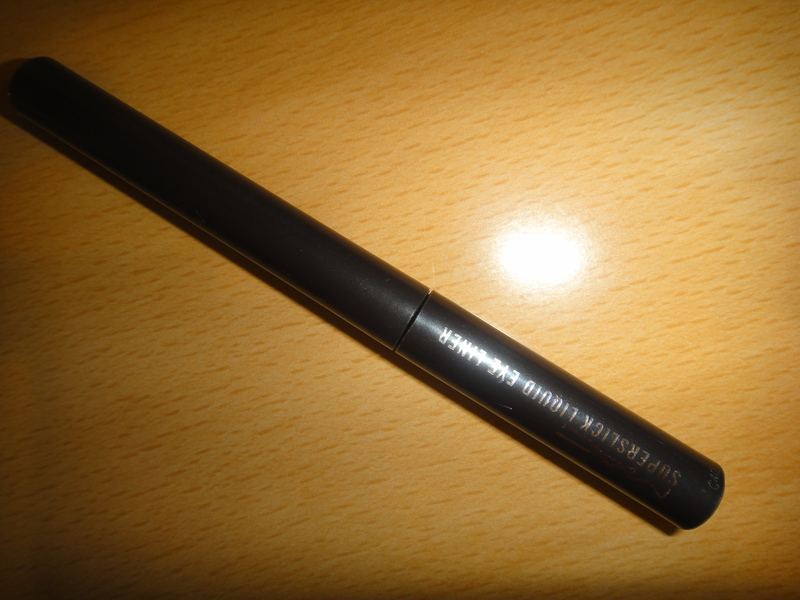 Bourjois “Night Fever” is a mid tone grey with bluish undertones, low in shimmer liquid eyeliner. 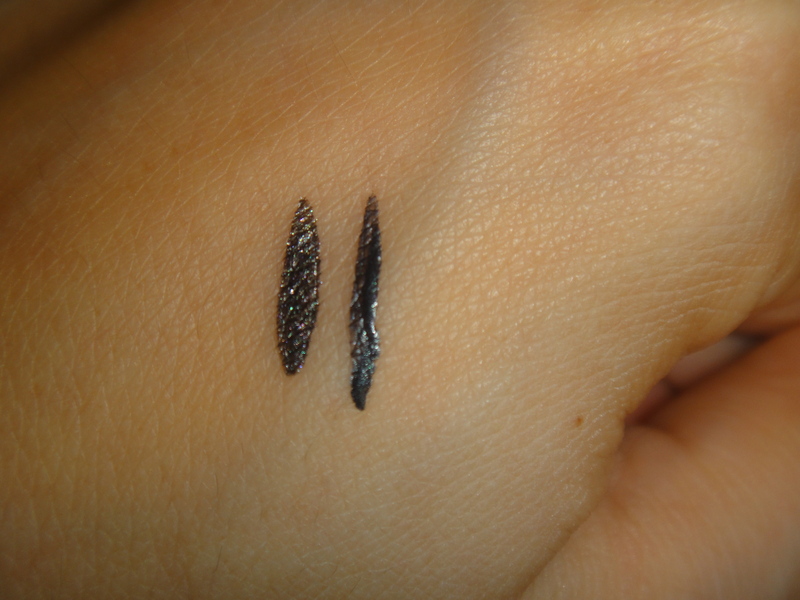 It is almost identical to Mac’s Marked for Glamour, which makes it an affordable dupe! Unlike Superslick, Night Fever’s staying power is quite bad as it smears after 2-3 hours. Application tip is extremely thin, which makes it annoying. On the bright side, the liner costs about 7 Euro. You may find the Bourjois range here. Container comes in a mini tube which “buttons” in a dual holder. 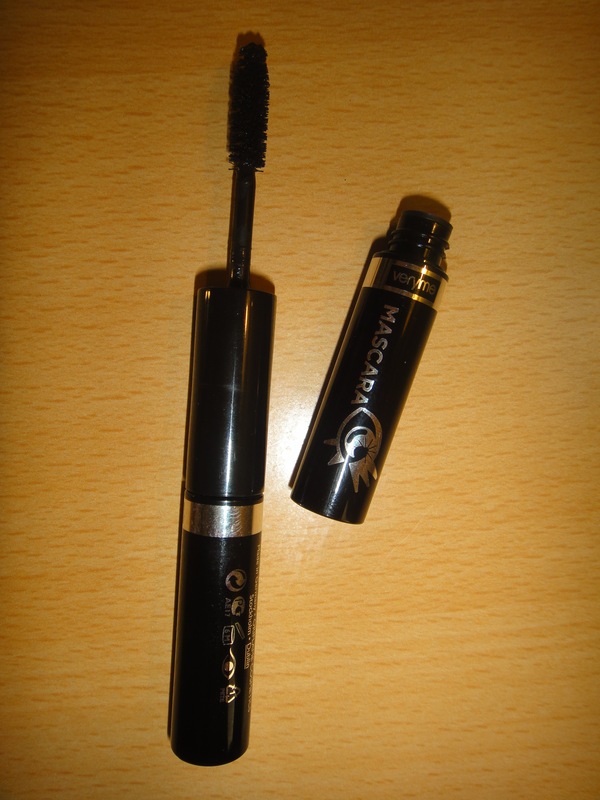 On the other side of the holder, you will be able to “button” a mini tube of a product of your choice (mascara or lipgloss or even another liner). The “Grey” eye liner is a flat matte grey colour which transforms into a gorgeous grey-navy as time passes. Staying power is good, but it could have been even better. Application tip is very thin. 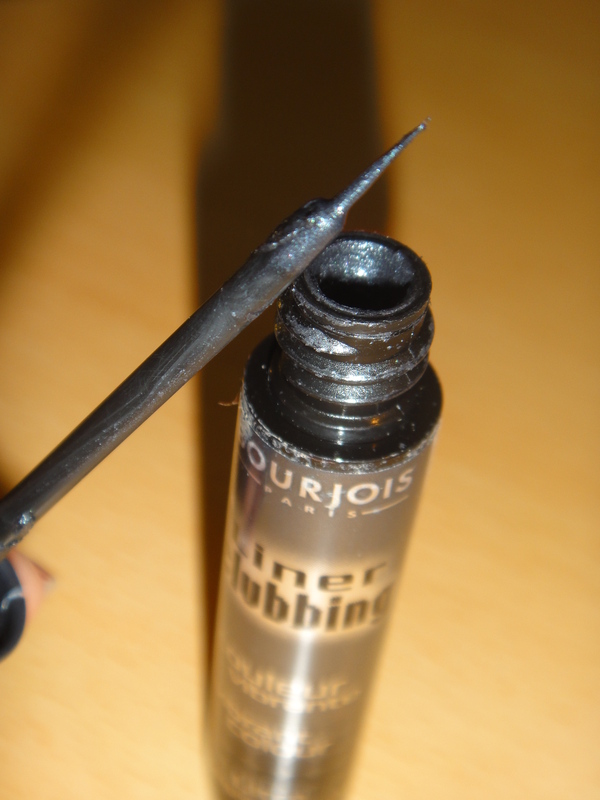 Generally speaking I find a lot of similarities with Bourjois liner in terms of applicator and staying power. 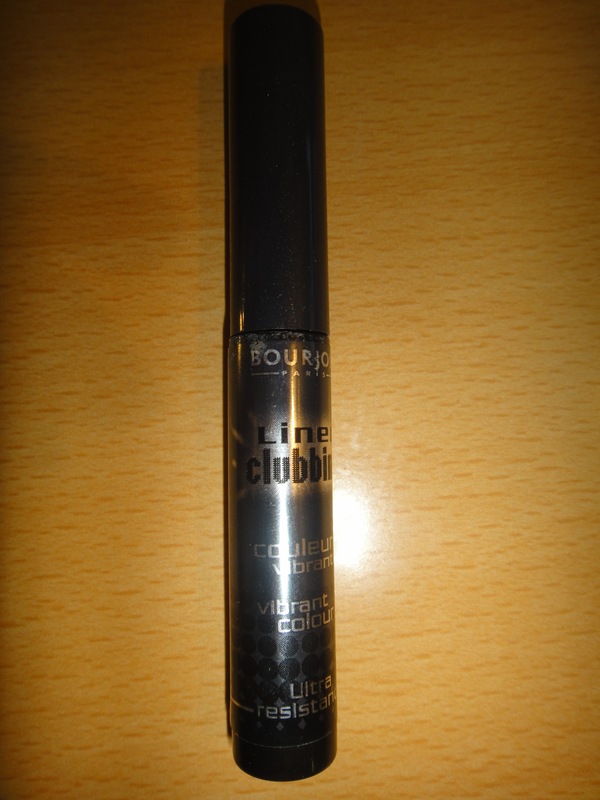 Anyway, Oriflame’s liner is a great low budget option.I cannot comment on the price, since the product was gifted to me by my best friend, but you can clink on the link for more information. 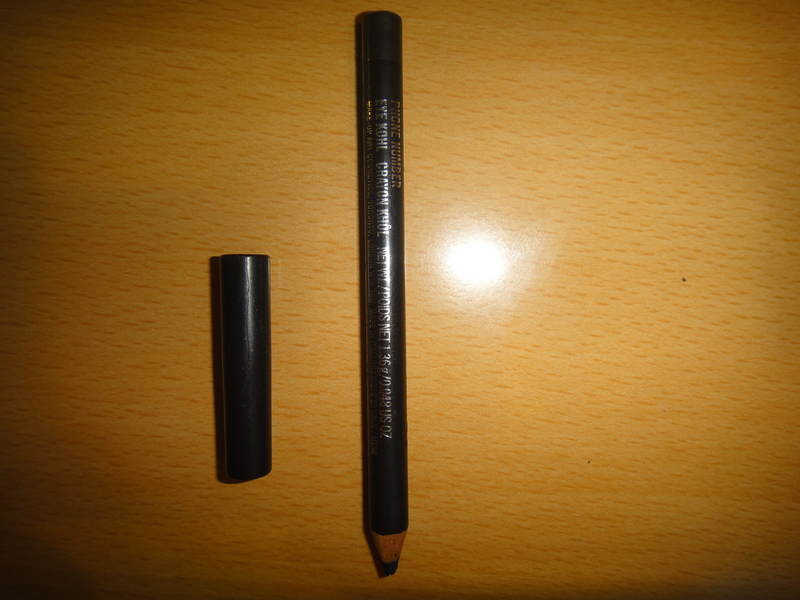 Next, we have “Black Russian” pencil by MAC, which is from the Pearlglide range. 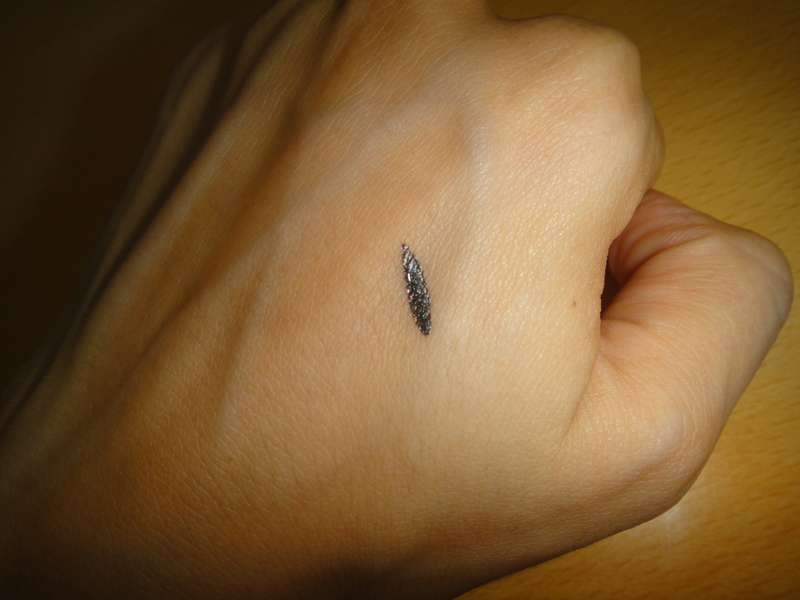 The pencil is a shimmery dark blackened grey and colour-wise is fraternal to “Marked in Glamour”. Even though the colour is great and the texture is like butter, I have serious issues with staying power. It does not stay on place for more than 1 hour at best! I have read that is not adviced to be used on the waterline,but only to the lashlines due to the large glitter parts that may cause harm. Personally I have never had such an issue. I purchased the liner for about 15 Euro a couple of years ago. I am not sure if the pencil is on the permanent line or it was just one-shot edition. Here you will find the MAC link and here the Ebay link, in case you are interested to search for it. 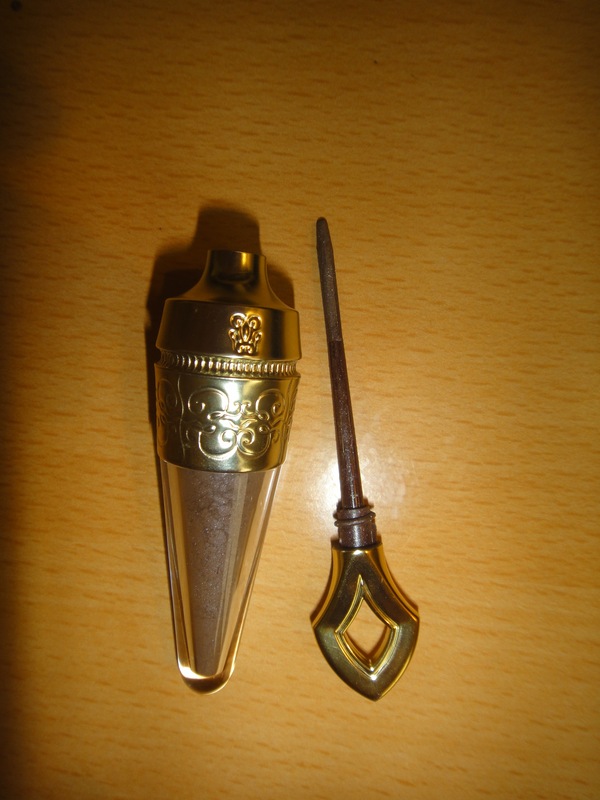 You may wonder why I included Guerlain’s “Oriental Metal” in this post, even though it is not a clear grey. This khol, belongs to the same family as it is a dark metallic silverish-taupe with a hint of grey.The colour is perfect for a toned down, polished daytime look.It comes in a loose powder form and there are a couple of different ways to apply it. Either the “eastern way”, placing in the waterline, closing firmly the eyes and dragging it, or the “western” way, applying it with open eyes on waterline and upper lashline. The staying power of this loose khol is just phenomenal and because it is not liquidy but powder it “locks” on the waterline for hours. The product was limited edition, it is quite pricey(about 32 Euro)and it is available through here. In the Sephora link you will find the rest of the permanent range. Out of all the MAC pencils range, Kohls work for me better than anything. They are creamy, long wearing, bold and pigmented. “Phone Number” is a charcoal dark grey with unnoticeable green/blue undertones. As much as I love the texture, I dislike the colour which is kind of flat and very dark, as it leans towards to black. I bought the pencil for about 14 Euro. You can have a look through this link. Do you wear grey liner? This entry was tagged bourjois, eyeliner, guerlain, mac, make up. Bookmark the permalink. thank you! it very helpful!! !